Motorcars Toyota carries a comprehensive inventory of new 2018 Toyota Prius Hybrid models for sale in Cleveland, OH! 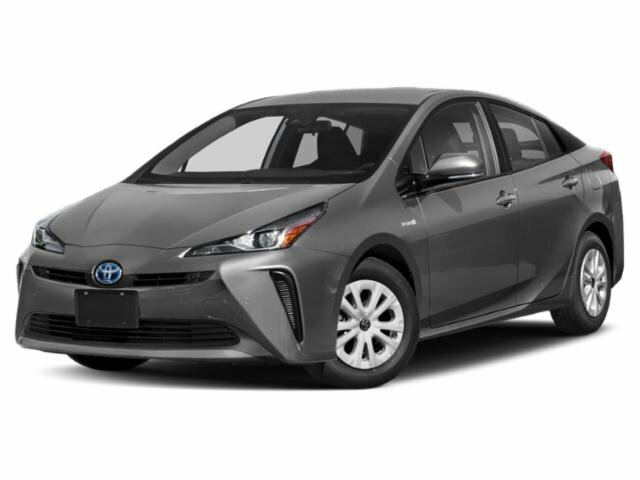 With its base MSRP of $23,475, the 2018 Prius offers an available 11.6-Inch multimedia display, LED lighting, and ultra-modern seat design. Slip behind the wheel to take charge of a 1.8-Liter 4-Cylinder ECVT Hybrid engine that delivers an estimated MPG of 54/50/52 (city/highway/combined). Owners of this new Toyota Hybrid will feel the security of Standard Toyota Safety Sense™, with Full-Speed Range Dynamic Radar Cruise Control, Pre-Collision System, and Lane Departure Alert. To experience these systems and comforts in person, schedule your test drive at our dealership then take the short ride from Beachwood and Cleveland Heights to Motorcars Toyota! Our Toyota dealer is your home for new Toyota models for sale in Cleveland, OH. We are eager to help you take home a shiny new Toyota Prius Hybrid. After you choose the paint color and trim model that has the standard features you care about, our service department will perform all of your required maintenance. When your Prius is due for an affordable battery test or brake inspection, schedule your auto repair with our Toyota service department. We invite drivers near Beachwood and Cleveland Heights to shop Motorcars Toyota today! MSRP excludes the Delivery, Processing and Handling Fee of $885 for Cars, $960 for Small/Medium Trucks (Sienna, RAV4 Gas, RAV4 Hybrid, Highlander Gas, Highlander Hybrid, 4Runner and Tacoma), $1,195 for Large SUVs (Sequoia, Land Cruiser), and $1,195 for Large Truck (Tundra). (Historically, vehicle manufacturers and distributors have charged a separate fee for processing, handling and delivering vehicles to dealerships. Toyota's charge for these services is called the "Delivery, Processing and Handling Fee" and is based on the value of the processing, handling and delivery services Toyota provides as well as Toyota's overall pricing structure. Toyota may make a profit on the Delivery, Processing and Handling Fee.) Excludes taxes, license, title and available or regionally required equipment. The Delivery, Processing and Handling Fee in AL, AR, FL, GA, LA, MS, NC, OK, SC and TX will be higher. Actual dealer price will vary. From Toyota.com.